Following the introduction of the new 12-sided pound coin on 28 March 2017, we are calling on supporters to give us their ‘Good Old Pounds’. The old pound coins will lose their legal tender on 15 October 2017 so make sure you put them to good use before then. Just five old pound coins could buy a book with colourful pictures which could make a huge difference to a seriously ill child’s early language development. While £23 could help fund a Family Support Worker for one hour so they can support a child and their family when they need someone to answer their questions and listen to their fears. Simply download and print this template to make your very own fundraising box to display anywhere you can think of, such as shops, schools, or your office. 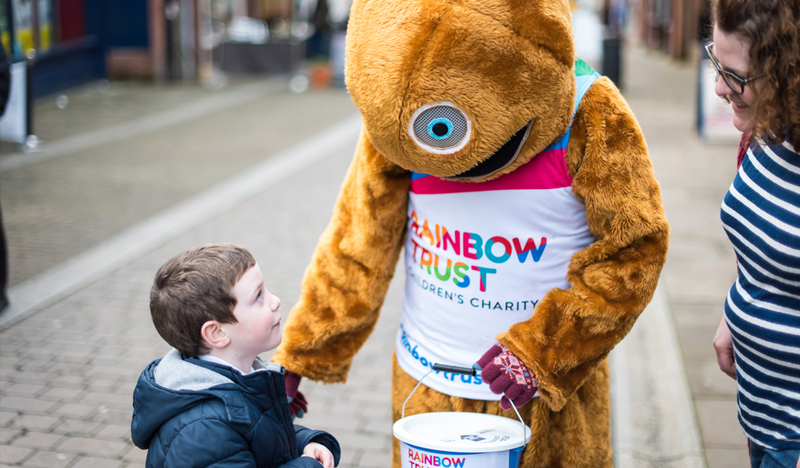 Then fill your fundraising box with ‘Good Old Pounds’ to help Rainbow Trust care for more families. Your box work best printed on card and reinforced with sticky tape. So check your sofa, pocket and piggy bank and help families make the most of their time together, one pound at a time.